Dan Smith, editor of Valley Business Front, reviewed Moon Blue Ridge and Smoky Mountains (Avalon Travel, 2010) in the October issue of the magazine. I had the pleasure of making Dan’s acquaintance at a writer’s conference last spring. See what he has to say about my new book on page 52 of the digital version of Valley Business Front. 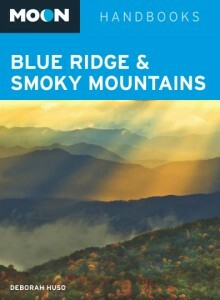 Pick up your own copy of Moon Blue Ridge and Smoky Mountains at your favorite bookseller, or purchase a copy online.